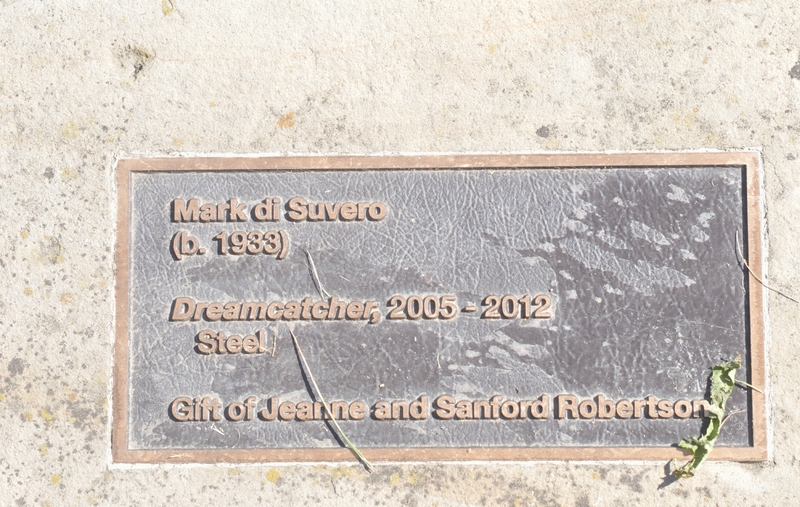 The four feet of the Dreamcatcher sculpture were bolted down to four concrete pads among dry grass. 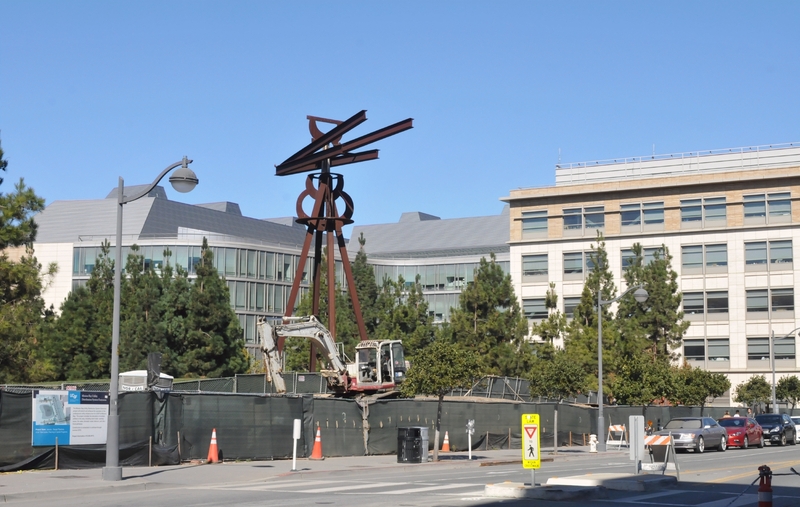 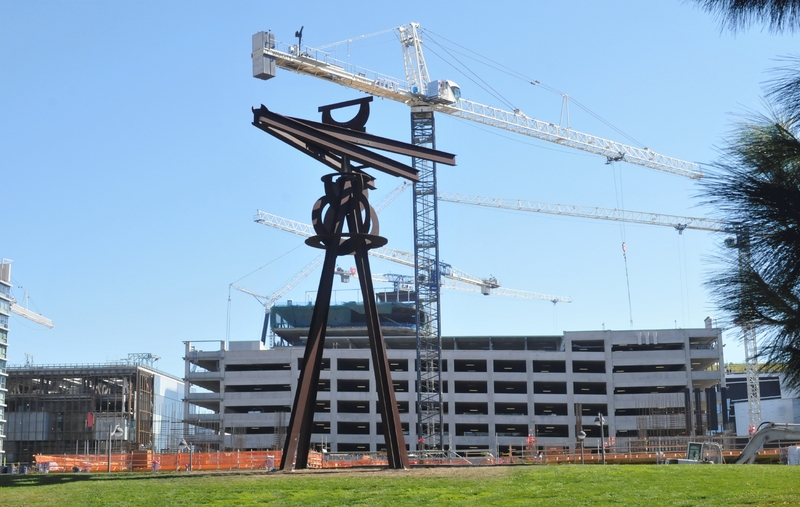 The Dreamcatcher sculpture stood on a low hill and appeared to hide among a background of construction cranes. 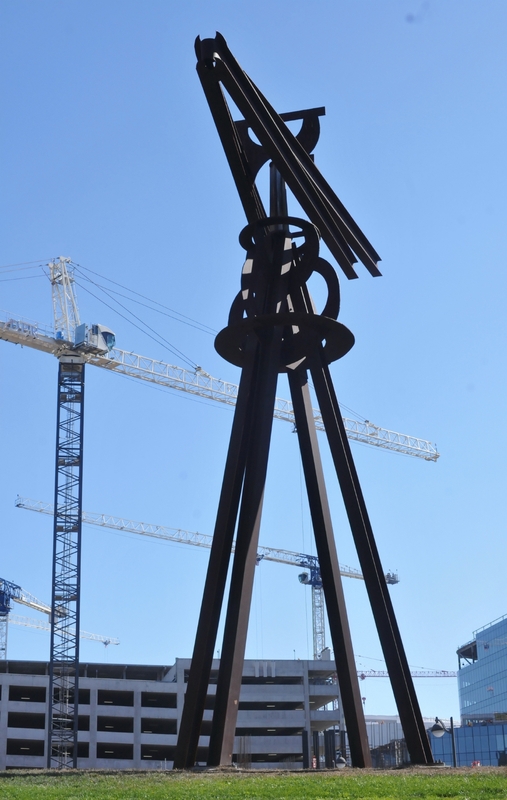 As one walked closer to the Dreamcatcher sculpture, it began to tower over us puny humans. 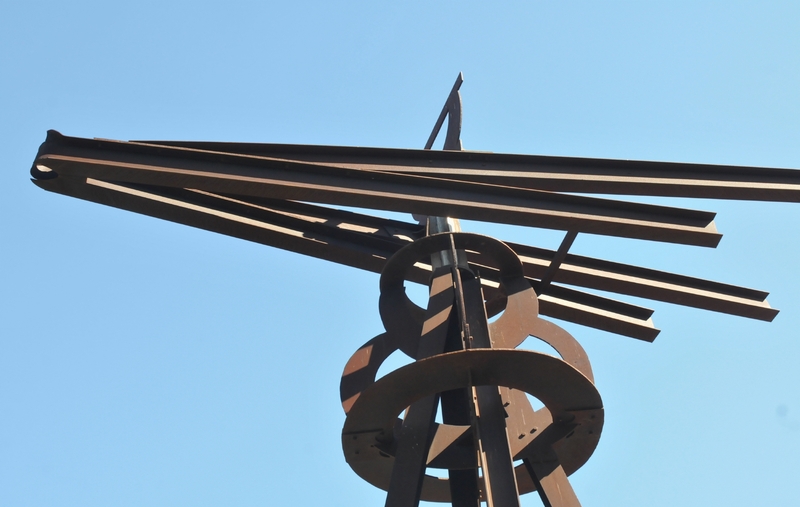 The top of the Dreamcatcher sculpture appeared to be an arrow that ever pointed into the wind. 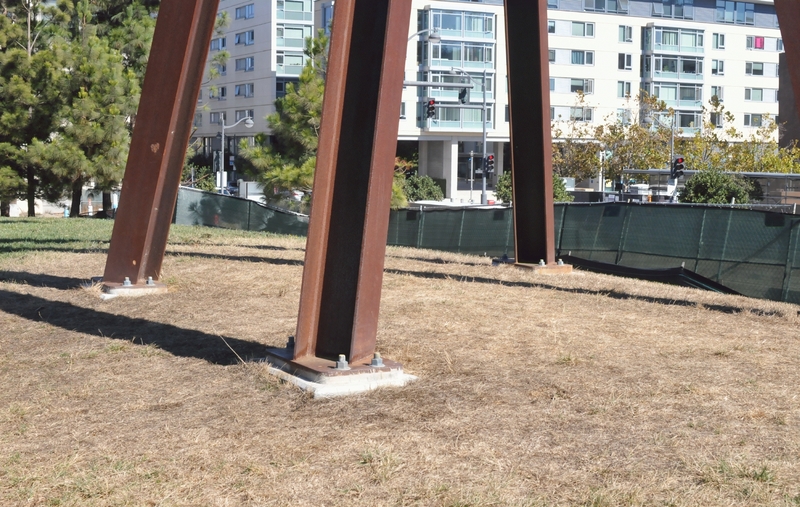 The Dreamcatcher sculpture stood just beyond a fenced off area of new construction. 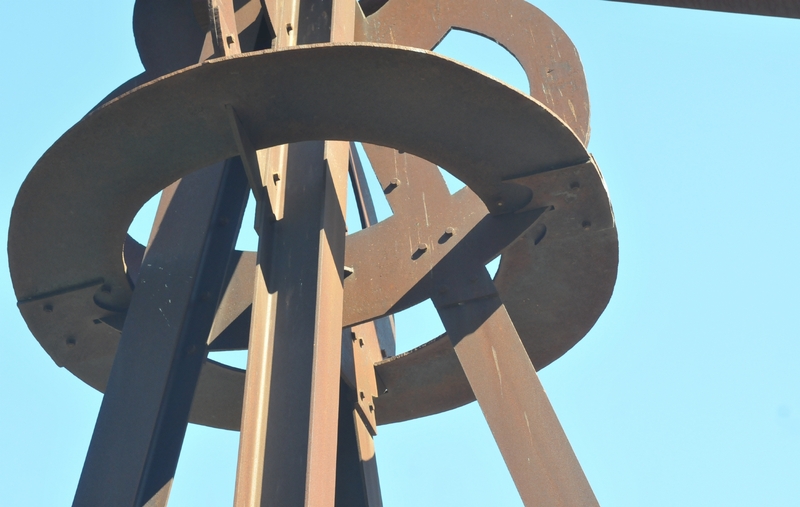 Rings surrounded the middle part of the Dreamcatcher sculpture. 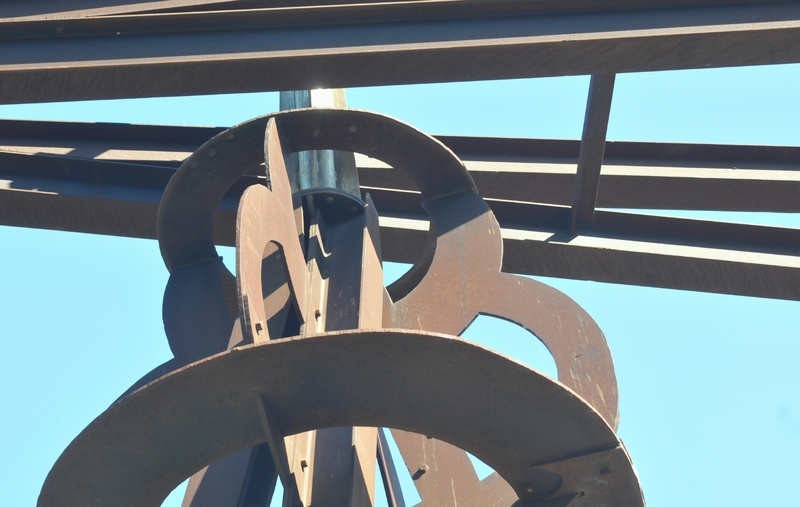 A stainless steel pivot allowed the head of the Dreamcatcher sculpture to align with the wind.